To book an aoudad hunt please enter in your information below. 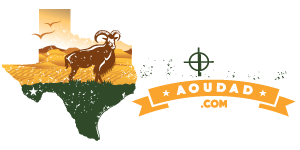 For additional information please visit our aoudad hunt pricing page along with our aoudad hunting FAQ page. If you have questions please contact us. Once you book your hunt you will be redirected to a confirmation page where you can download the hunting paperwork. Please fill it out, mail all but the last page and your deposit back in and we will reserve your dates. Hunts are booked on a first come, first serve basis. Specify preferred dates and we'll confirm availability.